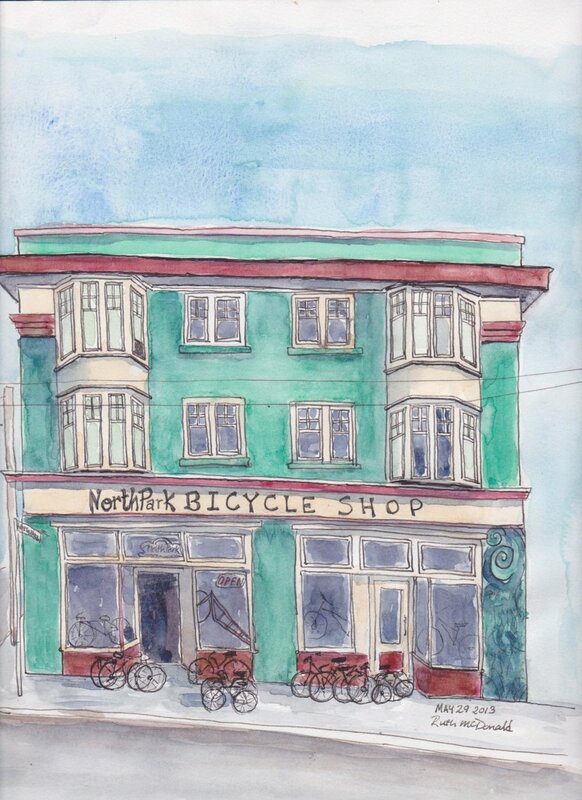 We have a new lease on our bike shop life in our new location on Cook Street! Opening this amazing, new shop in February 2018, we were able to start from the ground up to serve you better (and without the building falling down around us if someone sneezed wrong). Our old location of 15 years has been around since 1913, designed by Freemasons. It is the only place outside of downtown that has purple sidewalk prisms, too. The building is slowly coming to the end of it's life and we didn't want to be 'out on the street' if push came to shove, so we had to find a new home. 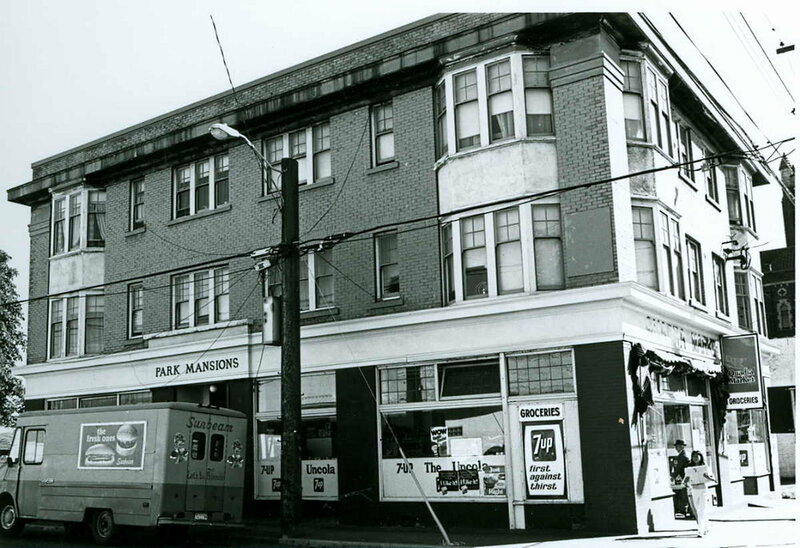 Our old shop has been many things over the years... grocery store, convenience store, bait & tackle shop, the Red Mango restaurant, and more. Our new shop was a Church of God from the 50's when it was built, until 2005 when John Larsen bought it to make it the fabulous Larsen Music store. Now, as the third owners, we are feeling blessed to be snuggled in more deeply with both our North Park & Fernwood neighbours! Starting out without a clue to what we were doing in 2003, buying North Park a few months after our second daughter was born, we feel like we almost have the hang of it now! Despite the grey hair (or loss of it), our love of: the shop, what we do, who we help, how we support our community & city, and who works with us grows each year. We're super-grateful. Of course, we couldn't have done it without all of the amazing staff along the way, as well as all the wonderful customers who have weaved their own mark into our shop.